you of the most life like portrayal of your prized trophy. 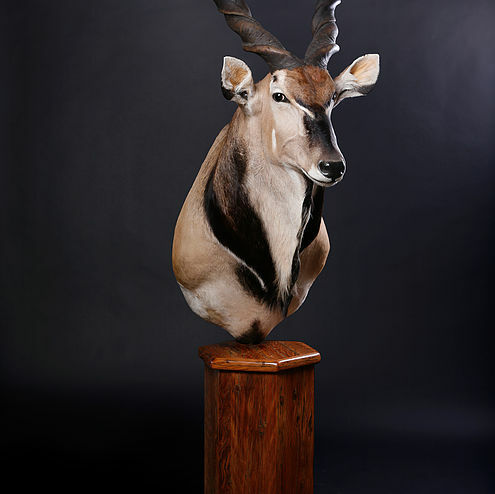 "ONE OF THE TREASURES OF NATURE IS BEAUTY, THIS TOO SHOULD BE PRESERVED"
to your taxidermy collection by opting for one of our Pedestal Mounts. - forever capturing the essence of nature. copper or nickel. It will display and shine as bright as it is enchanting. 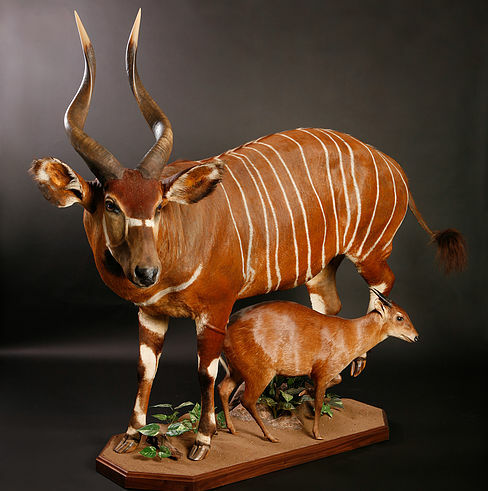 At Highveld Taxidermists we take great pride in our work- attention to detail during every part of the process ensures that the final product exceeds our clients' expectations. 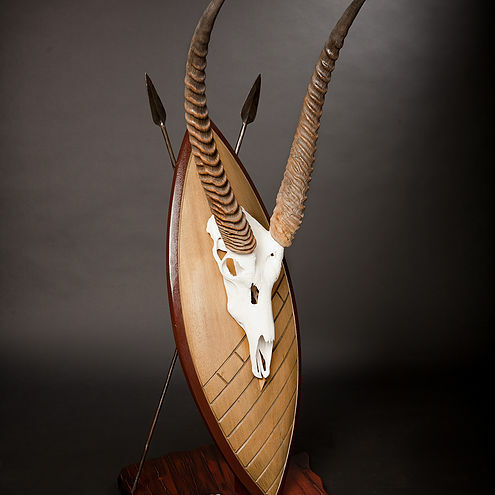 Combining art and the latest in taxidermy technology, we make sure that your prized trophy is something you can be proud to show off! Our customer service and workmanship is something we take very seriously. Our Shoulder Mounts are made using only proprietary manikins, sculpted in-house by our Master Taxidermists. This assures you of the most life like portrayal of your prized trophy. Our hand crafted pedestals are made in-house from a variety of different types of wood. Custom design your pedestal from the size, wood type, inlays and finish, or choose from our wide selection of standard pedestals. Capture the species in it's full beauty and presence. We custom sculpt every full mount manikin to your exact specifications and to be anatomically correct according to the size of the skin and skull. 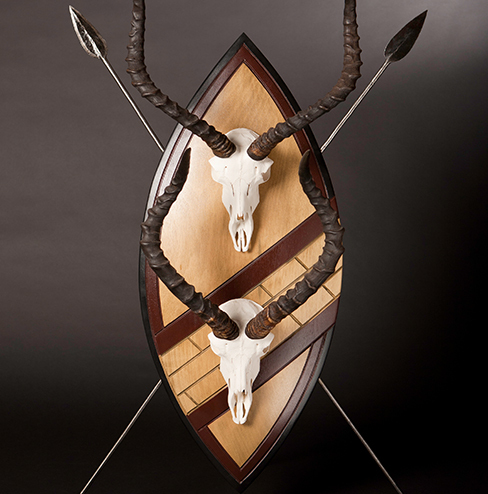 Every full body mount comes standard with a kiaat wood museum base as pictured. The European-style Skull Mount is a timeless tradition and we are proud to offer a variety of different options to suit your taste. Choose from a variety of different wood types, including custom carved Zulu shields. The skulls can be presented as full skulls including or excluding the lower jaw, or short skulls cut in a V-shape. We can also cover the skulls with animal hide if you prefer. 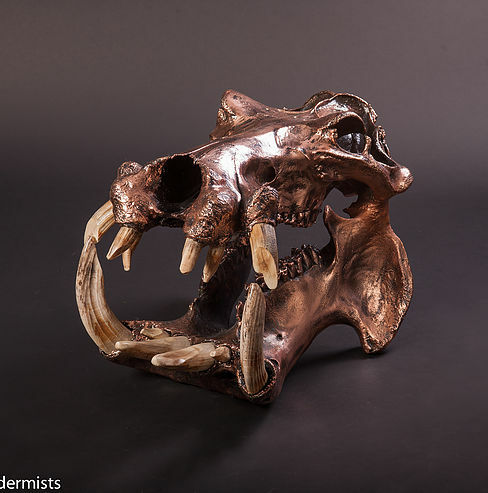 As if frozen in time and rediscovered by future generations, place a stamp of creativity and art on any skull by electroplating it with bronze, copper or nickel. 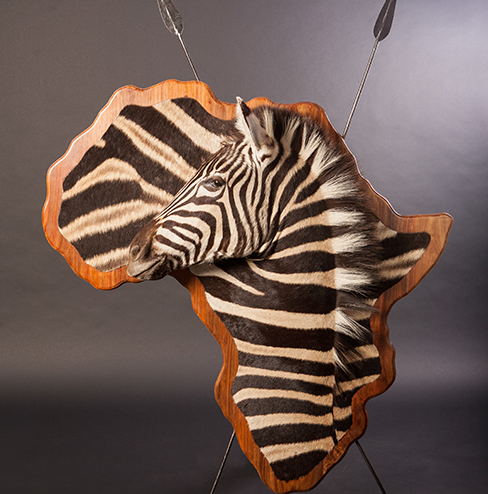 A unique blend of taxidermy and artistry- see your trophy beautifully blended into a truly magnificent and artistic display. Hand-carved and individually designed Zulu Shields offer an alternative and popular choice to your standard mounting options. Capture the true essence of your African Safari! Available as floor standing mounts or to hang on the wall. 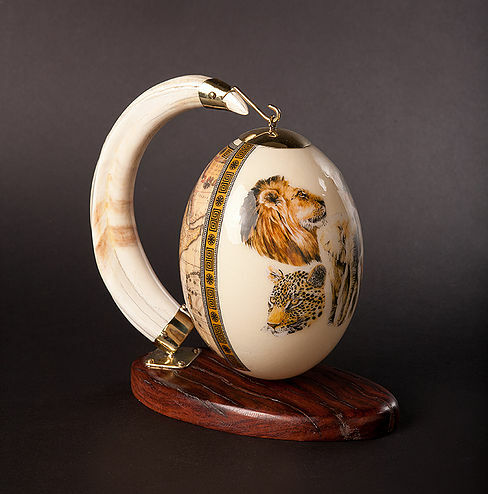 We believe firmly that no part of your trophy should go to waste and are proud to offer a vast range of specialty items. 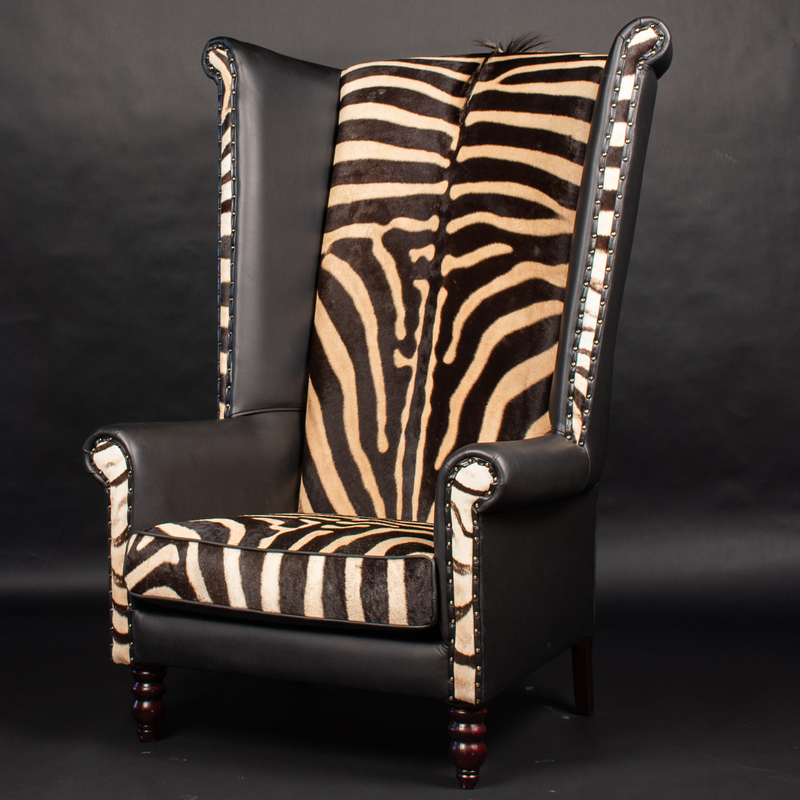 All furniture items are hand made at our studios by our skilled team of craftsmen. They've been described as "handbag fillers"or "paperweights." 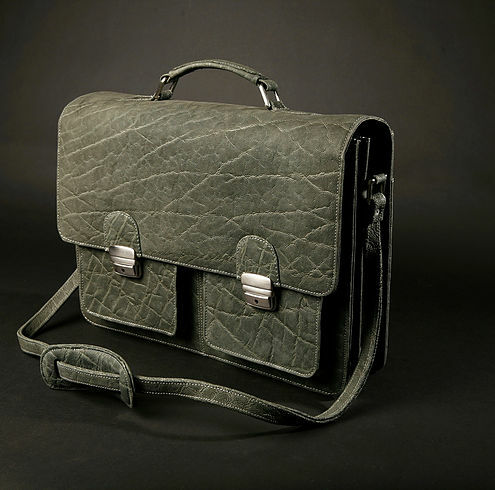 We believe they capture a truly creative essence of true African design and artistry. "We have studied them in their natural environment, hunted them and felt awe in our hearts. The result of our craft is a reflection of the love, passion and pride that we have for our African game." 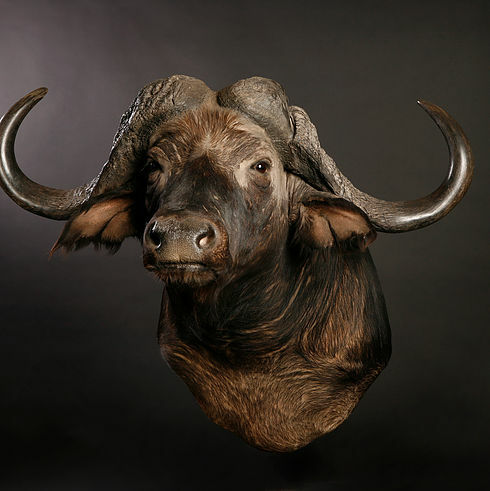 Highveld Taxidermists is committed to providing true service quality to its customers and strives every day to deliver reliable, lasting and professional workmanship. Our willingness to listen and our attention to detail enable us to foster close ties with our customers and deliver exceptional works of art. © 2018 Highveld Taxidermists. All Rights Reserved.